Arcturus building system solutions target fire, security, surveillance, information, safety and access control systems. Solutions are designed to meet or exceed NEMA and NFPA audio intelligibility recommendations for two-way voice and PA paging and can incorporate camera based video surveillance. Tools are available to support local or remote management, workflow control for on-site personnel, installer access, troubleshooting and maintenance. 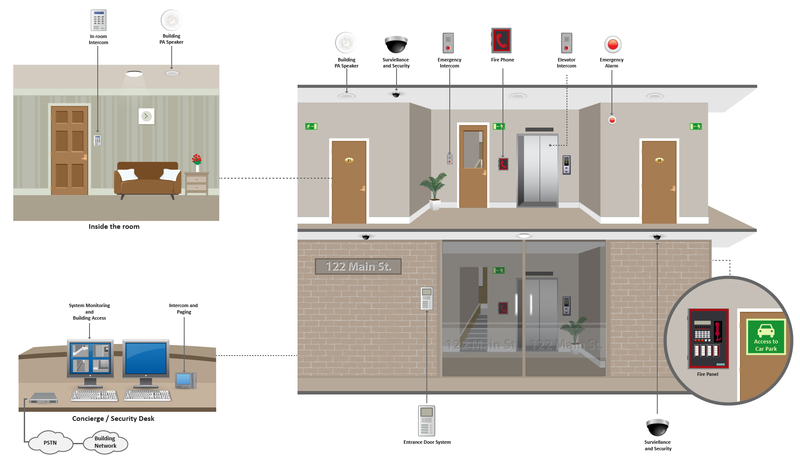 Hardware systems can integrate directly with devices such as ID readers, door controllers, sensors, horns or lights.